See this system in action at the end of the post! 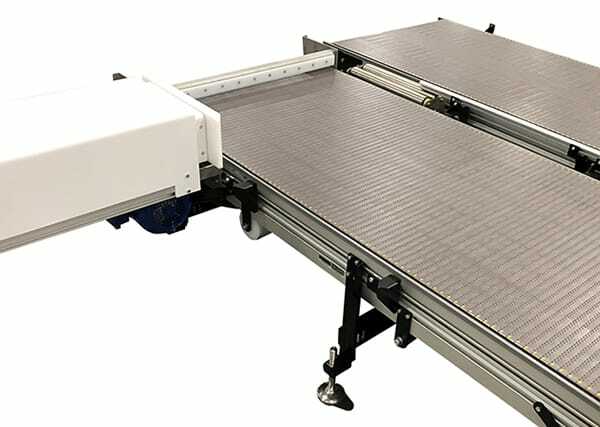 Dorner’s 3200 Series conveyors are designed to handle heavy loads. In a recent application, each product weighed about 140 pounds! Dorner developed a new system for this customer that was much more efficient than the current system they had in place, allowing for four times more production. We also created a more automated system which required employees to do less lifting and moving of the product, creating a safer and more ergonomically friendly environment for employees. 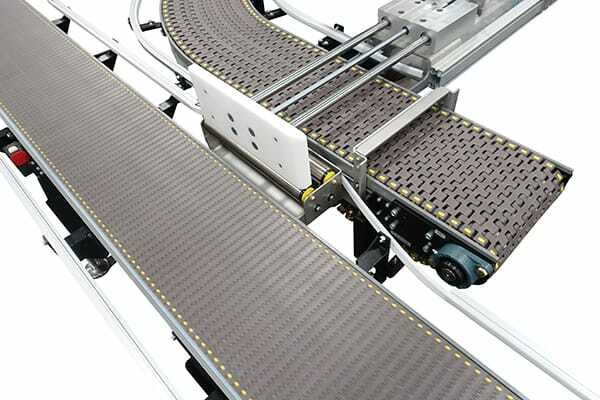 For this application, the conveyors were the main line of the system. 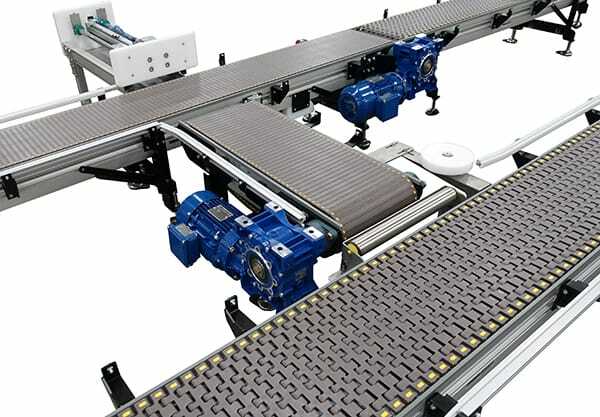 Machines that integrate with the conveyors include: a manipulator to lift the product, a parts washer, a concrete filler, inspection stations and tap/drill stations. Because the product was extremely heavy, we strengthened the frames and idler to tails to handle the loads. 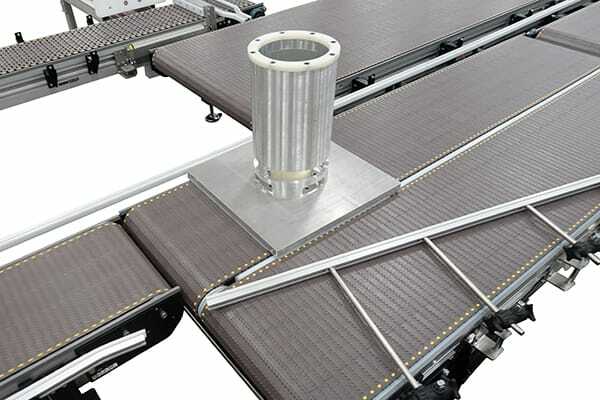 To strengthen the frames, we used stainless steel supports for the wear strips and increased the amount of wear strips and frame cross members per conveyor. To strengthen the tails, we used steel plates and heavy duty bearings to support the load as well as a larger diameter drive shaft. 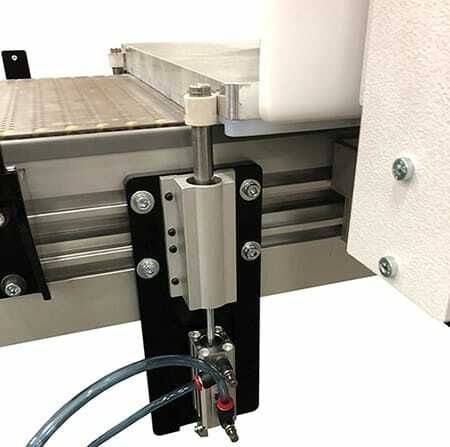 The product pushers allowed the heavy product to transfer between conveyors in a small footprint. One pusher was even required to push two parts at once, totaling 280 lbs! 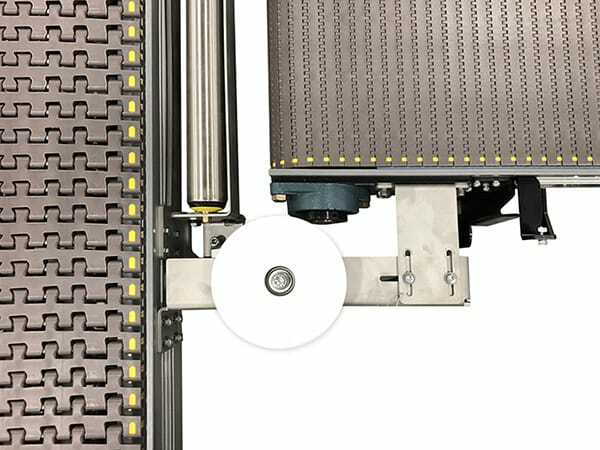 A low profile lift gate was added to the system to allow operator pass through and access for maintenance. 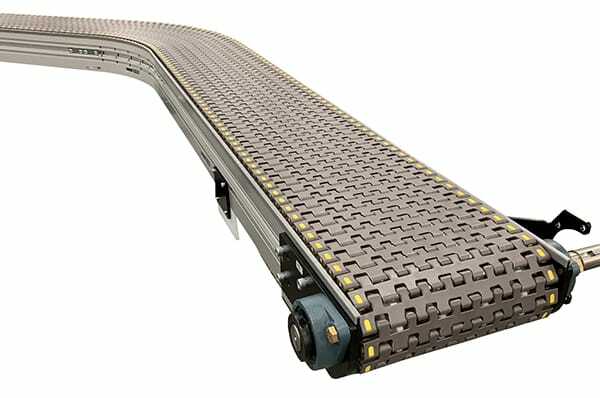 Heavy duty pop-up stops and low friction chain allow the flow of product to be controlled while the conveyors are running. Heavy duty wheel corners allow 90 degree turns while maintaining the leading edge. Contact us today to learn how Dorner can create a custom solution for your application!